Automotive sales in the United States were relatively lackluster over the course of the 2013-2014 winter season. In addition, the materials procurement process abated as harsh weather conditions slowed transportation, putting manufacturers throughout the country behind schedule. Now that the season has turned, it looks as if the industry is on its way toward recovery. According to MarketWatch, sales reports regarding U.S. automobiles are expected to display a 15.8 million rate in March, a 0.5 million increase from February. Economists polled by the source blamed poor weather conditions and a general need to save cash as factors that prevented consumers from visiting showrooms. The demand for energy rose over the winter, causing many U.S. constituents to scale back on expenditures deemed unnecessary by many. A spend analysis conducted by the Institute for Supply Management showed that the purchasing managers index for March registered at 53.7 percent, a slight increase from the previous month. Automotive manufacturing came in second in the top 14 list of industries reporting market growth for the tail end of the winter. "Business is good and we are optimistic that orders will continue to come in at a decent pace," said one transportation equipment manufacturer, as quoted by ISM. 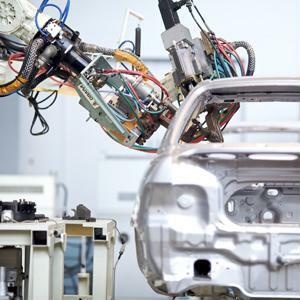 Jon Minnick, associate editor for Manufacturing Business Technology, claimed that automotive manufacturers across the globe are witnessing general improvements at the start of the spring season. U.S. producers are faring quite well and some foreign businesses are even bringing factories to the country. In an effort to create a more flexible procurement management strategy, Munich, Germany-based company BMW recently announced that it will expand operations in Spartanburg County, S.C., with a $1 billion investment. An estimated 800 new jobs will be created to increase the facility's production capacity by 100,000 units on an annual basis. State Governor Nikki Haley lauded the move as a testament to the state's robust business environment and valued workforce. Fiat and Chrysler CEO Sergio Marchionne told reporters at the end of March that the merged company will soon be able to produce over 6 million cars a year by 2018. Once the integration between the American and Italian corporations is complete, the executive claimed that he will spearhead a multi-year operation plan in Detroit, a city that has suffered from low employment rates and a rapidly decreasing population. The willingness of the two European organizations to expand their strategic sourcing capabilities may be a reaction to competitive rates posed by U.S. manufacturers.